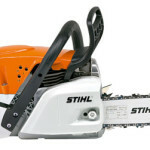 At the STIHL Shop Drysdale, down the road from Geelong, we offer a large range of quality chainsaws for you to choose from. 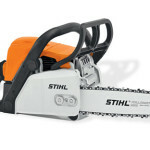 We have small chainsaws for the occasional user or a more sophisticated professional chainsaw for industry use. 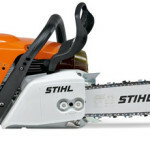 Come and select from our range of chainsaws at the STIHL Shop Drysdale, and our professional and qualified staff will help with your choice. Phone 5253 1608 or email us for more information. It’s also important to ensure your safety at all times while operating a chainsaw, so please browse our high-quality personal protective equipment.